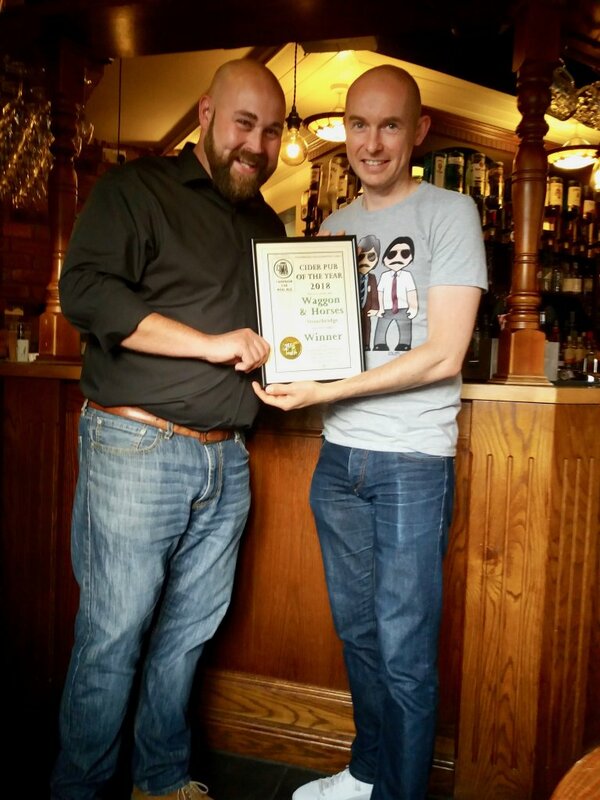 Publican Dan Wilkes receiving the award from Deputy Chair Tim Cadwell. 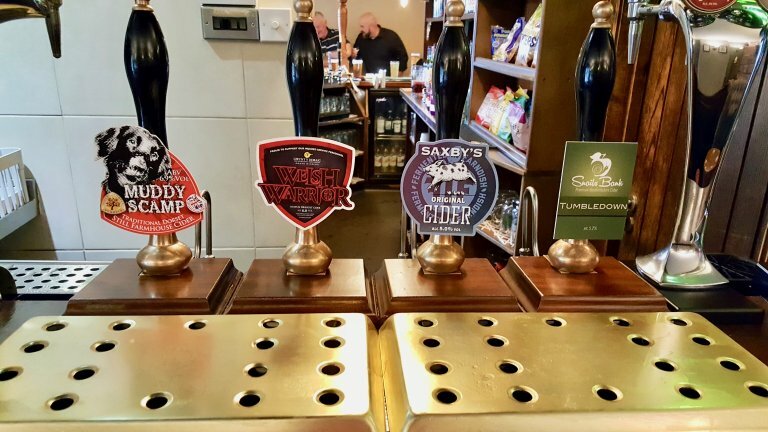 There are always 4 draught real ciders on in the cider bar, on the night on the night of the presentation, these were Muddy Scamp 6.9%, Welsh Warrior 6%, Saxby's Original 5% & Tumbledown 5.2%. 2017 Like the mythical Phoenix rising from the ashes, the Wagon and Horses public house has risen to an acclaimed height since its closure in January 2016 and the refurbished re-launch in March 2016. 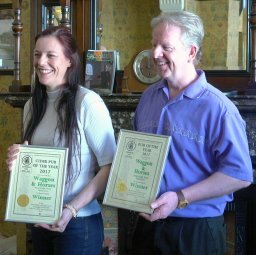 CAMRA’s members have recognised the hard work done by the wife and husband team of Dawn and Mick O’Neil in the promotion of real ale in the Stourbridge and Halesowen area by acknowledging the achievement with awarding the pub not only the Real Ale pub of the Year, also Cider Pub of the Year. 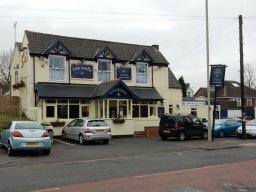 Dawn and Mick previously managed the Court House in Dudley and prior to that the Red Cow in Coseley. Dawn stated that she had welcomed the challenge of managing the refurbished public house, that was a landmark in the Halesowen area and with the support of the local people and other who have travelled from afar, she felt that she had reached a recognised achievement by being nominated and awarded CAMRA’s Real Ale pub of the Year and Cider Pub of the Year.